The most forward-looking cracking utility yet! 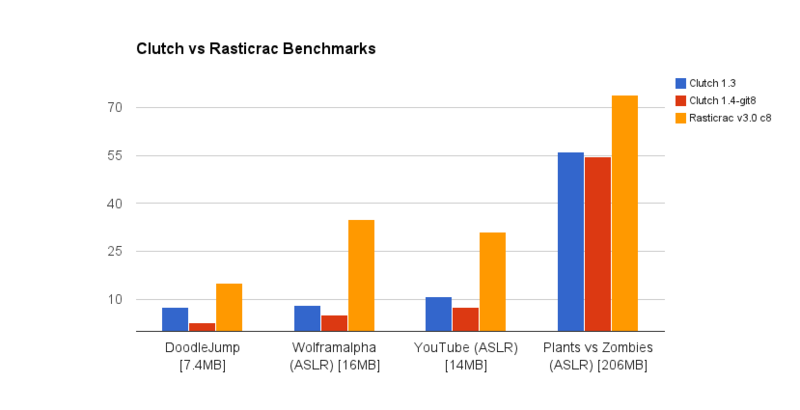 Clutch is up to 70% faster than Rasticrac! Used by professionals all around the world - Lz0PDA, CrackLords, ICPA..
Edited by NinjaLikesCheez, 28 October 2014 - 06:38 AM. i added to my phone and now it works well but i couldnt find how can i change cracker name in file bro? Hello, What is the command line to crack an application with a type name "My App" with Clutch 1.3? Clutch "My App" not work ... With Clutch 1.3.1-git2, it's easy because it uses a menu with number but it does not crack apps whose size is too big and the numbers menu is shifted. Okay, Clutch 1.3.1-git2 is a dev application. Otherwise, it is faster than Rasticrac Good day. we bypassed the protection on Plague! adding support for more apps! um we haven't released it yet, still adding support for more apps..
"um we haven't released it yet, still adding support for more apps.."